Welcome to the improved version of Mewtwo's Shrine. My interest in the psychic feline goes all the way back to the first movie. The first time I watched it, I viewed it as the villain of the film. 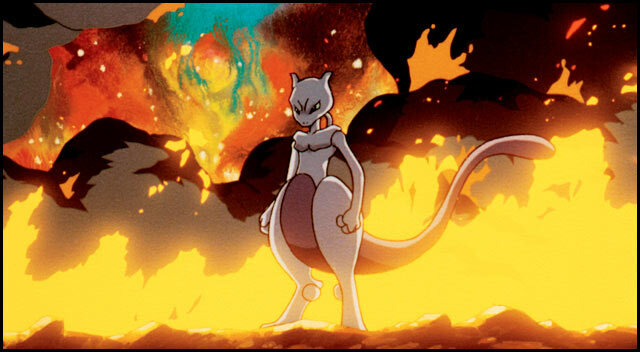 But, I started to change my opinion by the second viewing plus facts from the first season of the series that indicated that Mewtwo wasn't a villain or bad. It just came into contact with the wrong people. I'm sure that by this point in the franchise, that others realize this as well. 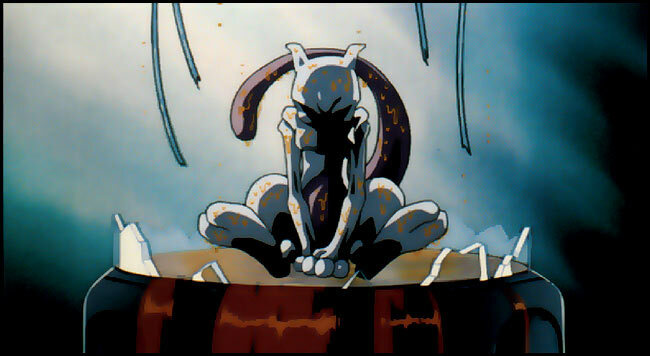 I dedicate this page to Mewtwo because it was and remains my number one favorite psychic. I can't build a team on my video game or build a psychic type deck without including Mewtwo. 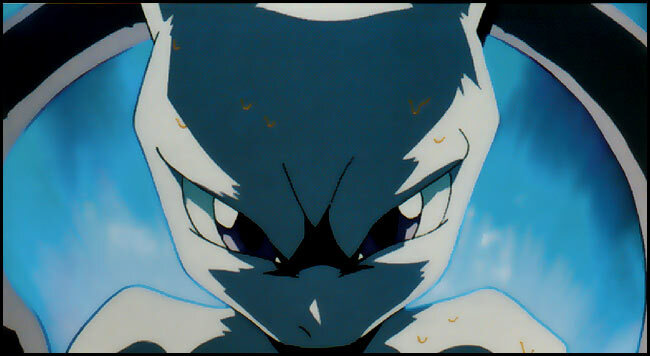 Below are a collection of Mewtwo pics from the first movie. And remember what Ash said before his eighth gym battle in Kanto: "There can't be an evil Pok�mon." Long Live Mewtwo!